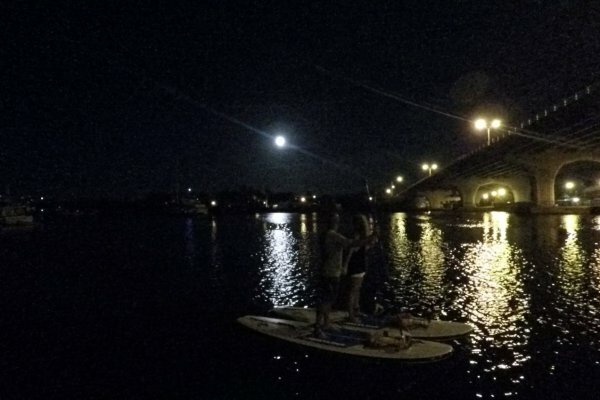 Enjoy a relaxing sunset on the Indian River Lagoon, then stay for a moon rise and paddle board or kayak adventure. This two hour guided tour starts from our dock at the Riverside Cafe in Vero. We provide all the gear you’ll need: paddle board or kayak, light, life vest, water and bug spray. We even take photos for everyone! 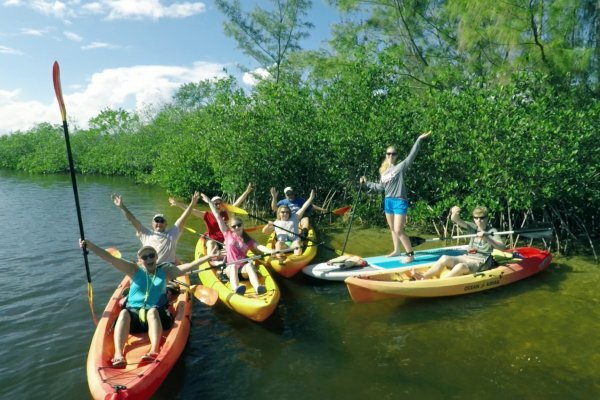 If something during the day is more your style, try a morning guided tour of the Indian River Lagoon. Starting from our dock at the Riverside Cafe, we set out for a two hour tour, not like Gilligan though. Learn history and ecology of the area while looking for manatee and dolphin.